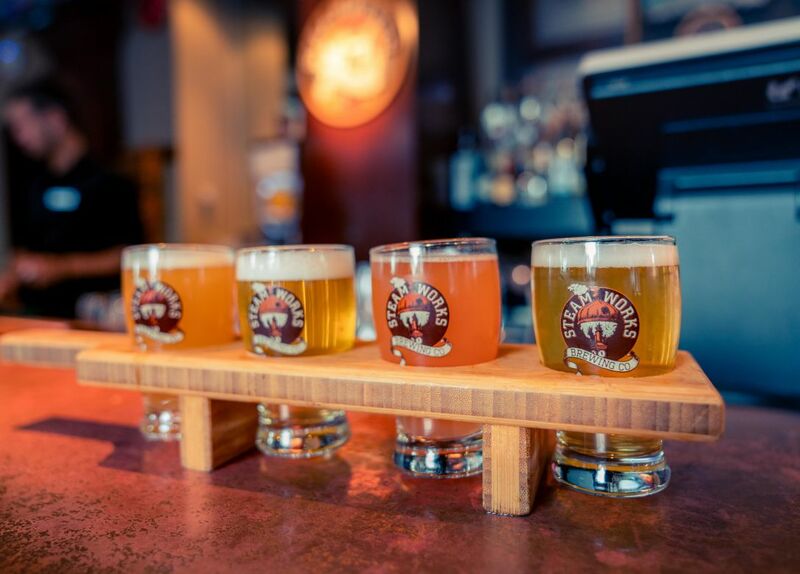 Receive a complimentary beer taster pack when you spend over C$20 on food and pay with a valid Visa card. One complimentary beer tasting pack per bill. Beer tasting pack valued at C$9.49. Guests must be at least 19 years old and present valid ID to redeem this offer. Guests must spend at least C$20 (exclusive of tax or gratuity) on food to redeem this offer. Steamworks Brew Pub is solely responsible for this offer.